Shellac Stack No. 103 wishes you a very happy holiday season. 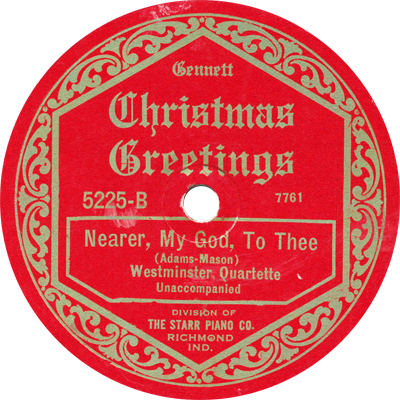 We visit with pianist Ed Clute and listen to a variety of Christmas 78s, pausing occasionally to share some holiday memories and listen to Ed’s own solo piano renditions of beloved Christmas songs. Pour yourself some eggnog, grab a handful of cookies, pull a chair up to the fireside, and join our little holiday party!